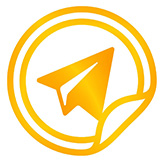 and installation of stickers in the Telegram. 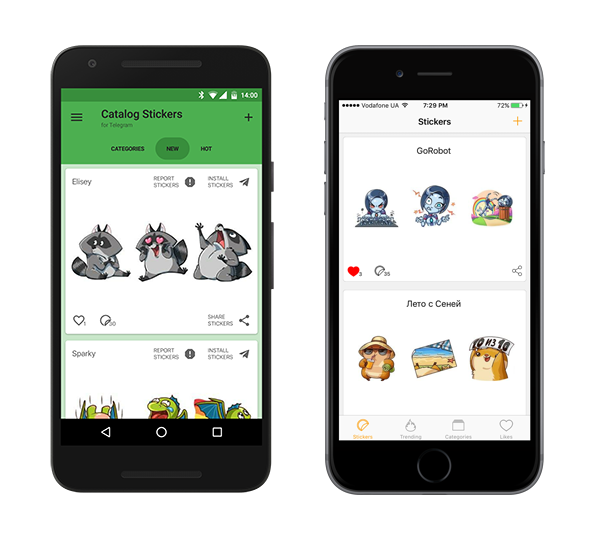 Stickers are sorted by category. 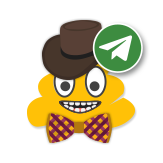 Share stickers with friends. Add stickers to your favorites for quick access to them. If you are an artist please contact us by Telegram or by e-mail, upon the request we will add your stickers to our database.